This Christmas we are 50. Sis Mary said you might not bring enough presents because the elves have been sick like Jimmy. Please bring a new sock for Tommy and a new coat for Jacob. I almost forgot; please bring a new mummy for the new boy. He cries every night and there is no more spare bed in the Orphanage. All I want for Christmas is for Daddy to be happy. When he is happy, he plays with me and mummy is happy. When daddy is sad, he hits me and makes mummy cry. Please Santa, make my daddy happy forever and ever. All I want for Christmas is for step-daddy to stop. Please Mrs Claus, make him not come to my room when mummy goes out at night. It hurts when he comes and this Christmas I don’t want it to hurt. to my silent prayer to be answered. to be a child and live as one. but I tell you, I can hear what you can’t. but her eyes are sharper than yours. but he can figure out the sums faster than you. but my mind race faster than yours. With every part of me you call – Limitation. Is replaced with a part I call – Possibilities. by the quality of meters I have gone. I’m not a force to reckon with. I am a thing of wonder. like I’m an animal in extinct. like I’m a poor soul. For it takes strength to be me. It takes strength to be different. It takes strength to be challenged. It takes strength to be limited. and don’t look, stare, laugh or pity. to be the true and the best me. I have betrayed you by living. but I shouldn’t have made that pact. whenever death came for you. who can’t feel my pain. 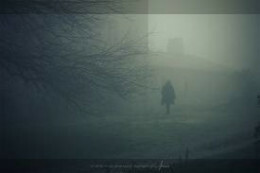 alone in the black mist. choked the believe in you. The list in the letters I last wrote to you. has somehow become a Lamborghini Aventador. to play pretend wedding with. to wed and live with. looks different but the same. May be I’ll just post it to God. and my CV to those offices. Till I get a confirmation of the bride/groom. stuck in a pile of coal. for I want to gaze forever. There is something about the dark that makes you reach out and explore. Life itself is a composition of dark times and happy days but the best days are moments after the dark times. The moments you feel the rush of relieve and start to see things in a new light. Darkness is associated with not seeing and seeing is to most people, the most important sense. However if the closest thing to seeing is feeling, then we can say that to feel better you have to shut down the sense of sight. Why then would we wonder why people close their eyes when kissing? The many distractions to the eyes are enough to prevent you from feeling the full impact of a kiss. You already have distractions in your mind that you have to block out and let go; adding that of sight is not advisable. As I once heard if you are kissing and your partner leaves his or her eyes open then He or She is sure not that into you. Shutting out the light in an alley would force you to feel with your hand in order to move forward. A good kisser explore with the tongue, finding ways to caress every nook and cranny of the mouth. How much you can explore is what makes you a great kisser but it all start with shutting your eyes. They burn like marshmallows at a campfire. With trees that drift with the wind. from the rainbow and I sing with a gentle touch. with other birds over mountains of forbidden ecstasy. And every day my words get clearer. I knew me, I am learning to be me. I’m better with a slight neck. I like it warm when I’m hard. Room temperature is just right. Slip me in a bag before I catch a cold.